These pythons are some of the most vividly colored pythons. Our Jungle carpet python stock will take your breath away. We are working with some nicely refined lines. 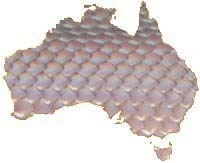 There will always be room at Australian Addiction Reptiles for jungle carpets. Click on image for natural history information and pictures. 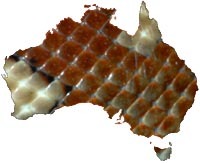 The red-orange color of the Centralian or Bredl's Python make them one of the most unique and beautiful snakes in the world. 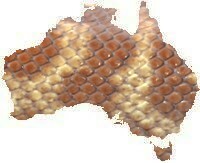 This is a very docile species and are very robust snakes which do very well in captivity. We are working with several lines of bredli including Lazik (including stripes), Price and Afor's. These are one of our favorite pythons. Click on image for more information and pictures. 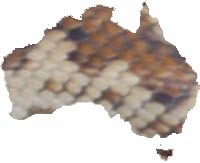 Inland carpet pythons are a subspecies of the spilota complex which ranges through much of the eastern interior of Australia. 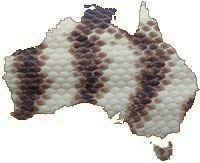 If you are looking for a calm, easy to keep carpet python, then the inland is the snake for you. They also stay a modest size, can endure temperature extremes, and have attractive patterns and coloration, making them an ideal captive. Click on the image for more information and pictures. Darwin carpet pythons are a fascinating species from the northern reaches of Australia, including notably the Darwin area. We are pleased to be working with the albino gene as well as regular Darwin carpets. With beautiful orange bands separated by black from cream bands, these are one of the most appealing carpets in terms of appearance. Due to their nice look and relative rarity, the Darwins will be a nice addition to any collection. Coastal carpet pythons are one of the most commonly kept carpets in the US. 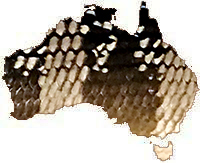 Originating on the east coast of Australia, there are a variety of appearances and morphs associated with this species. 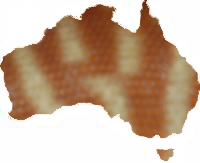 We are working with axanthic, caramel, jaguar and tiger morphs, as well as nice red normal coastals. Click on image for more information and pictures. Green tree pythons are some of the most enigmatic pythons available. With their amazing ontogenic change and brilliant green colors, GTPs are one of the most visually appealing animals. There is a lot of misinformation about proper husbandry and maintenance of these pythons, but recent research has shed light on the natural history of these snakes. Click right for more info. 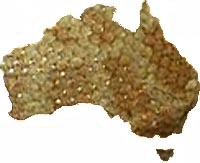 The Pygmy or Anthill Python is the smallest python in the world and is found in the deserts of Western Australia. These pythons are related to childrens, spotteds, and Stimsons pythons, as a member of the genus Antaresia. These pythons lay relatively few eggs per clutch, which are large for their size. Despite their small size, these are some of the coolest pythons. Click on the image to the left for more information. These are the second smallest pythons in the world, but are still 100% python. 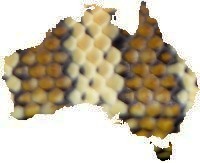 They are from the northern part of Australia. Our breeders are from VPI lines that have nice reddish patterns. We also work with the black-eyed morph. These pythons grow to about 3 feet and are easily housed. They make great starter pythons and are extremely easy to breed. Stimson's pythons were named after A.F. Stimson of the British Museum. The western Stimson's Python, Antaresia stimsoni stimsoni, is one of the most beautiful snakes. We are very happy to be working with this form, that is very rare in the US. Our Western Stimsons are from European stock of A. s. stimsoni and are the real deal. Click on the image on the left for more information. 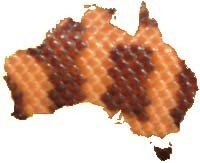 The eastern Stimson's, Antaresia stimsoni orientalis have an extensive range through much of Australia. These are beautiful pythons within the Antaresia genus and we are excited to work with them. They are easy to keep and breed and are very rewarding captives. Click on the image on the left for more information. Spotted Pythons are the largest of the Antaresia, but still only obtain a maximum adult length around 4 feet. These snakes come from the eastern coast of Australia and also have been discovered on New Guinea. Our breeders come from pure VPI stock, and include the Cape York spotted or Blonde Mac and the granite/patternless spotted morph. Please click on the link for more information. Womas are a desert adapted python that have adapted to sandy habitats and have lost their labial heat-sensing pits. 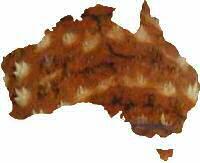 They are found in the sandy deserts throughout the interior of Australia. These guys are ravenous feeders and tolerate a wide range of temperatures. Click on the image for more information. Blackhead pythons are the larger members of the Antaresia genus. 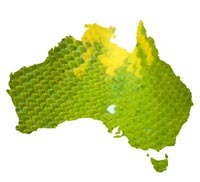 They inhabit the forested grassland plains of the top of Australia and range from Queensland to Western Australia. We are working with the western variety of blackheads that tends to be somewhat smaller than their eastern counterparts. These amazing pythons have beautiful dark bands on an almost white background, creating a beautiful contrast. Click on the image to the left to learn more about these amazing pythons. Olive pythons are the gentle giants of Australia. These snakes get fairly large, maxing out at over 13 feet. 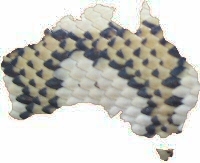 These snakes range from Western Australia over to Queensland across the top of Australia. While they lack pattern, they are highly iridescent, displaying beautiful colors in the sunlight. Click on the picture for more information. Centralian knobtail geckos are one of the most unique geckos on the planet. Their large heads and bright orange/brick red coloration and spiky skin will catch any eye. These are the largest geckos in Australia and are heavy bodied lizards with very small tails with the namesake knob at the end. They are the coolest geckos and make very interesting terrarium animals. 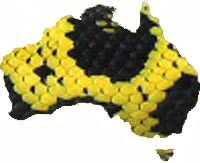 Western blue-tongue skinks are an Australian species of Tiliqua occur in the arid outback of Australia. Like other blue-tongues they are omnivores and have been kept and bred in captivity. They are a beautifully banded species that are rarely available in the US. They have relatively small litters and give birth to live young. Their bright blue tongue is used as a threat display. This is an amazing species and we are thrilled to work with them. The northern blue-tongue skink is another enigmatic Australian lizard that is very popular in the pet trade. They have a bright blue tongue, as their name implies, which wild individuals use as a defense to predators. They will gape their mouths and extend an undulating blue tongue while lunging towards the aggressor. They are very easy-going and make wonderful captives. Ackies are one of the most popular and commonly bred monitor species in herpetoculture. Their spiny tails, give them their common name, while their nickname ackie originates from their species name. We work with the red type of ackies, which have a beautiful red coloration and distinct ocelli. We had red ackies back in the late 90s, and are happy to be working with them again.